To apply the modified pediatric RIFLE criteria for severity of acute kidney injury (AKI) to pediatric burn ICU patients and to evaluate the overall incidence of AKI, risk factors for AKI and influence of AKI on outcome. All consecutive patients with a burn injury of 10% or more of total body surface area percentage (TBSA, %) admitted during a 2 year period. Data of 123 patients were studied. The incidence of AKI was 45.5%. Patients with AKI tended to have higher mortality than those without AKI (p = 0.057). All nonsurvivors attained pRIFLE AKI by combination of serum creatinine and urine output criteria. Patients with a more severe form of AKI (Failure and Injury) as well as patients with late AKI had more episodes of sepsis as compared to patients with early AKI and the Risk category of AKI. Logistic regression analysis indicated that PRISM score and TBSA were the independent risk factors for acute kidney injury in pediatric burn patients; the presence of sepsis and septic shock were the independent risk factors for the Failure class of AKI. We observed a high incidence of AKI in the burn PICU population. Sepsis seems to contribute to the development of the Failure class of AKI. Maximum Failure class of AKI is associated with high mortality. Acute kidney injury (AKI) has been associated with increased mortality, increased hospital length of stay and increased healthcare resource use and costs in critical illness [1, 2, 3, 4]. A consensus definition of AKI using the RIFLE criteria was proposed by the Acute Dialysis Quality Initiative working group . Recently, Akcan-Arikan et al. developed a modified version of the RIFLE criteria for pediatric patients (pRIFLE) and reported a mortality of 60% in children with AKI. . Although some studies have applied the RIFLE classification system in adult burn patients [8, 9], its usefulness in pediatric burn ICU patients has not been validated. The objective of our study was to determine the incidence and characteristics of burned children with AKI using the pRIFLE criteria, to identify risk factors for AKI and to describe the association between AKI and outcome in critically ill children with burns. This study was approved by the Human Subjects Review Board at the University of California Davis, USA, and did not require informed consent from the family. A retrospective study was performed over a 2 year period (October 2006–September 2008) in a 10-bed specialized pediatric burn ICU. All consecutive patients with a burn injury of 10% or more of total body surface area (TBSA) admitted to the Shriners Hospital for Children Northern California Burn Intensive Care Unit were included in the study. Exclusion criteria were: nonsurvivable burn (decision for comfort care on admission), admission for non-burn diagnosis and burn size less than 10%. Patient resuscitation was guided by the written treatment protocol of our ICU. Fluid resuscitation in the first 48 h was based on the Parkland formula; thereafter, maintenance crystalloid infusion rate was calculated using standard formulas for insensible wound fluid losses. Additional adjustments in crystalloid fluid infusion were guided by clinical and laboratory findings. Early enteral nutrition was provided, and no prophylactic antibiotics were used. Wounds were excised within 72 h of admission. 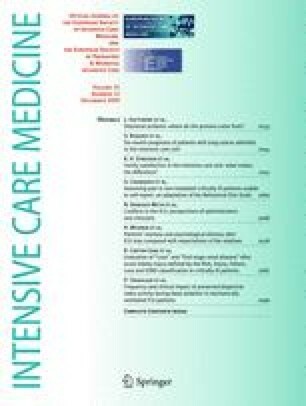 Pediatric Risk of Mortality II (PRISM II) score was used to grade the illness severity on admission to the PICU. Sepsis was diagnosed according to current definition criteria and was recorded throughout ICU stay [10, 11]. Demographic and clinical data were recorded for each patient, including length of ICU and hospital stay, mechanical ventilation duration, abdominal compartment syndrome, nephrotoxic drugs (aminoglycosides, vancomycin) and vasopressors (dopamine, epinephrine, norepinephrine), inhalation or electrical injury. Intra-abdominal pressure was measured through the urinary bladder pressure measurement method, and the abdominal compartment syndrome (ACS) was defined as a sustained intra-abdominal pressure >20 mmHg that was associated with new organ dysfunction/failure according to the International ACS Consensus Definitions Conference recommendations . 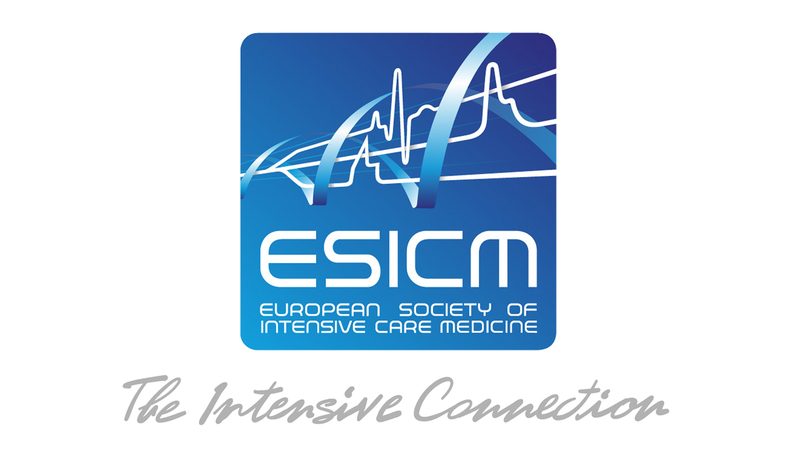 Baseline estimated creatinine clearance (eCCL) was calculated using the Schwartz equation from a serum creatinine measured within 3 months before ICU admission, and if this was unavailable, the patients were assigned to a baseline eCCL of 120 ml/min/1.73 m2 [13, 14]. Patients were classified according to the maximum pRIFLE class (class R, class I and class F) reached during their ICU stay. The pRIFLE class was determined based on the lowest score for either eCCL or urine output. Patients who met any of the criteria of the pRIFLE classification were classified as acute kidney injury patients. AKI is characterized as late if kidney injury was observed after 5 postburn days. The ICU mortality was recorded. Dichotomous and categorical variables were compared using the χ 2 test; comparisons of location parameters for continuous data were analyzed with Mann–Whitney and Kruskal–Wallis tests. Risk factors were assessed with univariate analysis and the variables that were statistically significant in the univariate analysis were included in the multivariate analysis by applying a multiple logistic regression with AKI and Failure class of AKI as the dependent outcome variables. In all comparisons, a p value of <0.05 was considered statistically significant. Data are expressed as mean ± standard deviation (SD). There were 221 consecutive admissions to the burn ICU over 2 years. Ninety-eight cases were excluded: a priori decision to withdraw or withhold treatment upon entry to ICU (n = 8), burn area less than 10% (n = 59), admission for non-burn diagnosis (n = 31). Data of the remaining 123 patients were evaluated. The baseline estimated creatinine clearance (eCCL) was calculated using the Schwartz equation only in 4 patients in whom the baseline serum Cr was available; the remaining 119 patients were assigned to a baseline eCCL of 120 ml/min/1.73 m2. Patient demographic and clinical characteristics are shown in Table 1. Of the 56 patients with kidney injury, 37 had early and 19 had late AKI. Eighty-two percent of patients with late AKI had septic episodes compared to 19% of patients with early occurrence of AKI. The mortality rate of patients with early and late AKI was 5.4% (2 patients from 37) and 15.7% (3 patients from 19), respectively, p = 0.19. Table 2 compares data of patient categories based on their attainment of RIFLE criteria by eCCL only, by urine output only, or by the combination of both. The characteristics and outcome of patients falling into the three pRIFLE categories are shown in Table 3. Logistic regression analysis indicated that PRISM score (OR 1.3, 95% CI 1.1–1.4; p = 0.05) and TBSA (OR 1.04, 95% CI 1.002–1.1; p < 0.001) were the independent risk factors for acute kidney injury in pediatric burn patients; the presence of sepsis (OR 3.1, CI 1.2–5.9; p = 0.05) and septic shock (OR 2.8, CI 1.1–6.02, p = 0.02) were the independent risk factor for the Failure class of AKI. In our study, the incidence of AKI of 45.5% in pediatric burn patients is lower than the incidence of 58% reported by Plötz et al. in general pediatric ICU patients. The diagnosis of AKI in our patients was based mostly on the eCCL or on both urine output and eCCL criteria, and this was based on a combination of urine output and eCCL in all non survivors. Aksan-Arican et al. also reported a higher mortality rate for pediatric patients who attained AKI by pRIFLE creatinine criteria compared with patients attaining only pRIFLE urine output criteria. Aggressive therapeutic strategies, such as Renal Replacement Therapy, in pediatric patients with oliguria and/or anuria and creatinine elevation, may lead to a better survival rate. Severity scores on admission have been shown to be useful tools for predicting occurrence of AKI or the Failure class of AKI [9, 16, 17]. In our study, patients with AKI had higher TBSA and PRISM scores on admission, with PRISM score and TBSA being risk factors for AKI in logistic regression analysis. Patients with and without AKI did not differ in age, gender, or presence of inhalational or electrical injury. Of note is the high incidence of inhalational injury observed in patients of the Injury and Failure classes of AKI as compared to patients of the Risk category of AKI. Reported mortality in pediatric patients with renal failure and multiorgan failure from septic complications is 50% [18, 19, 20]. In our study, patients with severe AKI (Injury and Failure) had more episodes of sepsis and septic shock compared to patients with a Risk category of AKI. The presence of sepsis seems to be the risk factor for the Failure class of AKI. The incidence of sepsis was also significantly higher in patients who developed AKI after 5 postburn days, but these patients did not have a higher mortality rate as compared to patients with early occurrence of AKI. Although drug-related renal dysfunction is common in critically ill burn patients , we did not observe significant differences in nephrotoxic drug use between patients with AKI and without AKI. Severity of AKI was associated with increased use of nephrotoxic and vasoactive drugs. This, as well as increases in bilirubin and thrombocytopenia, probably reflects disease severity and sepsis. The development of abdominal compartment syndrome in 40% of patients with the Failure class of AKI is noteworthy. Intra-abdominal hypertension impairs systemic hemodynamics and renal function and is a risk factor for renal failure . The association of acute kidney injury and prognosis in burn patients has been described in several studies [8, 9, 22]. In our study, patients with AKI tended to have a higher mortality rate compared to patients without AKI; however, the mortality rate was much higher in the Failure category as compared to the Risk and Injury classes. These findings are consistent with previous studies addressing the severity of AKI and outcome [16, 23]. This study has several limitations. First, this study was conducted at a single institution and in a relatively small number of patients. Secondly, the retrospective observational study design precludes any powerful conclusions as to the causative relationship between AKI and mortality. We conclude that a pRIFLE classification system can serve well to improve understanding of AKI epidemiology in critically ill pediatric burn patients. Information on the overall incidence of AKI, risk factors for AKI and the influence of AKI on outcome in pediatric patients with severe burn injury may be useful in the design of larger multicenter trials in order to determine the contribution of AKI to patients’ morbidity and mortality and to evaluate the effect of early initiation of aggressive measures to both prevent and treat AKI in pediatric burn ICU patients.